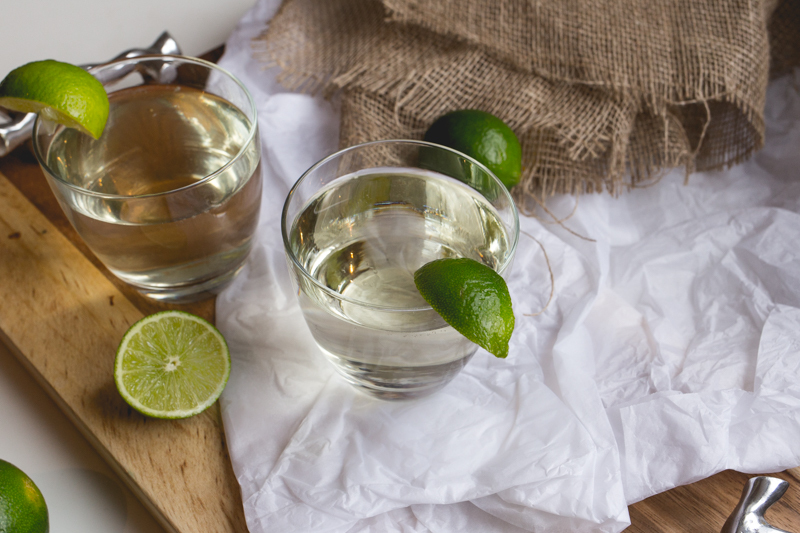 Ever heard of Dry January? Yeah it’s probably been shoved in your face pretty much since the moment the fireworks finished at New Year. But personally, I say hell no to that. I’d much rather have a drink that I really love than just fill up on “Mocktails”. 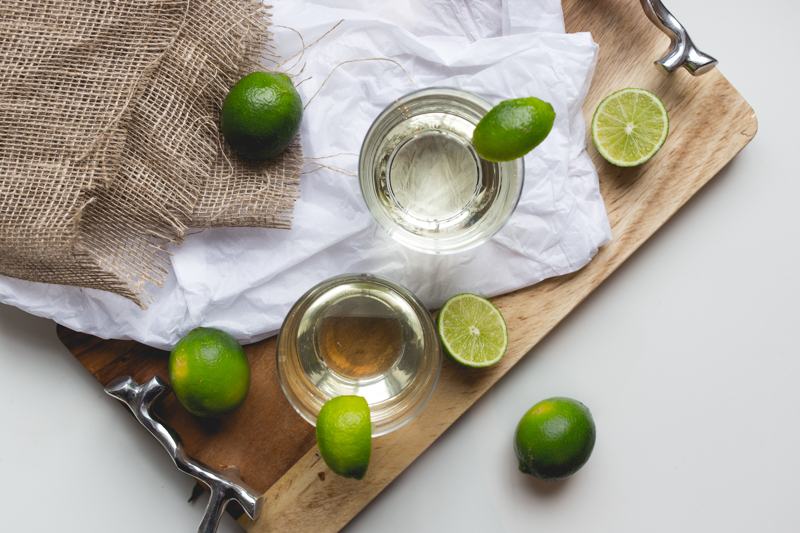 Now I get Dry January from a budget point of view, let’s be honest after Christmas and New year, we are all feeling the squeeze, which is why I actually I said this year my resolution was to start learning skills myself. In this case, making those cocktails that I love, at home, so instead of spending £10 on a cocktail in a bar, I can get 10 times the amount of drinks at home. I have been learning the 3 foundation mixology skills; Shaking, Mixing and Muddling- with thebar.com. It’s the perfect site for learning to Do It Yourself at home, with tons of recipes, and how to guides on different techniques and skills. I particularly love the What’s In Your Cupboard section, where you can input alcohols, mixers and garnishes that you already own and it will give you recipes that match. Perfect, if budgeting this January is your thing. Which is why as a gin lover, with citrus fruit in the fruit bowl, I could input in, and find the perfect recipes to match. To show you how easy it is to do it yourself at home, here are 3 amazing gin cocktail recipes that focus on different mixology techniques, so you can enjoy these at home again and again. And on the plus side, if you are doing Dry January but feel like a cheat day… no one will catch you now. Our little secret. First fill a shaker with ice. If you don’t have a shaker at home, then you could use a jam jar with the lid on instead. 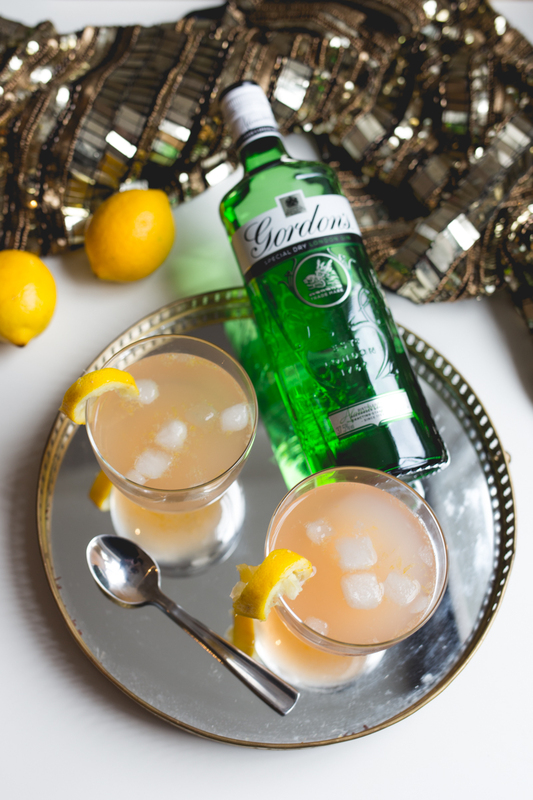 Pour the Gordon’s London Dry Gin, lime juice and sugar syrup into your shaker and give it a good shake until the drink feels cold. It’s an excellent arm workout by the way. Use a cocktail strainer, strain your drink into a glass. Again, if you don’t have the necessary cocktail equipment, don’t worry. You can use a smaller glass than the one you have your drink in to strain it. Finally top up with soda water and garnish with lime to give it that bar aesthetic. You can find out more about the Gin Rickey cocktail here. First add ice to a glass about half way full. Add the Gordon’s London Dry Gin and Angostura Bitters into this glass and stir with a spoon until fully blended together. Finally, as before, strain your drink into a glass and garnish with a lemon twist. Don’t know how to do a lemon twist at home? Take a potato peeler and peel a slice on the rind away. Simple. You can find out more about the Pink Gin cocktail here. 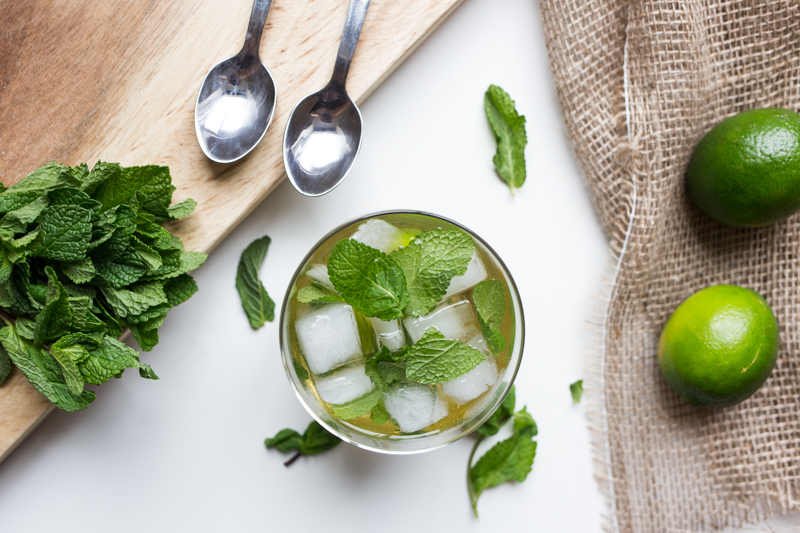 Clap the mint in your palms to releases all the aromas and place at the bottom of your glass. Next chop your lime into pieces and place on top of the mint. 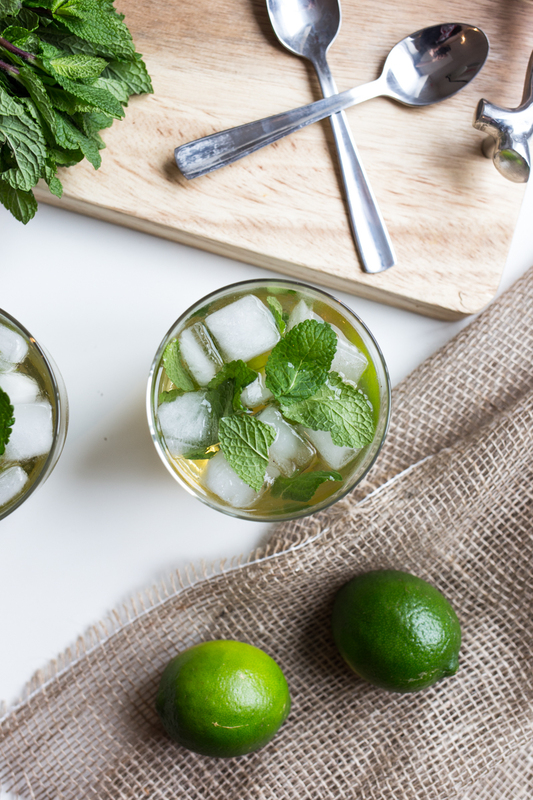 Add the sugar syrup on top of the mint and lime and muddle gently to release the lime juices. Fill the glass 3/4 full with crushed ice and pour in your gin and apple juice, and finally give everything a good stir to mix the flavors. 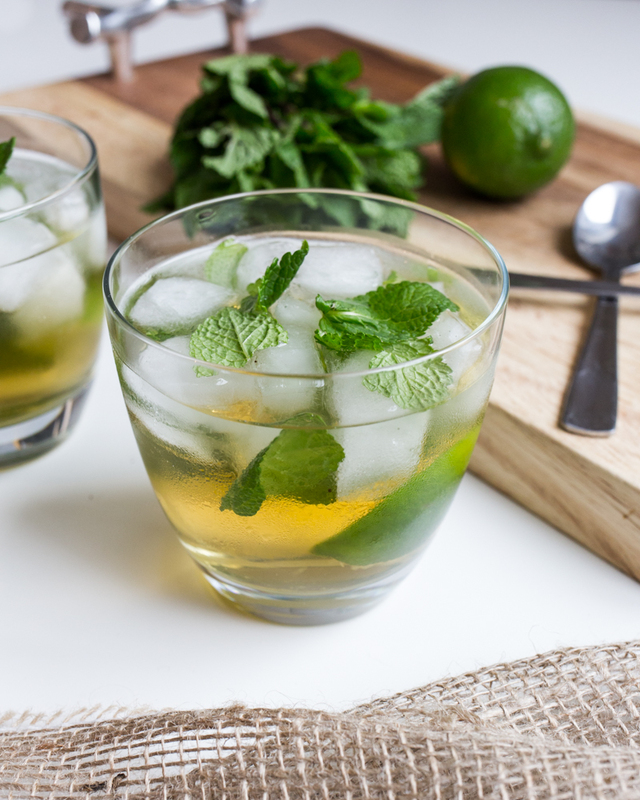 Top with ice and a mint spring for a classic look. You can find out more about the Gin Mojito cocktail here. I don’t know about you, but I don’t have a huge array of ingredients and a drinks cabinet to raid, so these are super simple that you can make whilst your guests are here, or if you just fancy a quick drink in front of the telly after a long day. 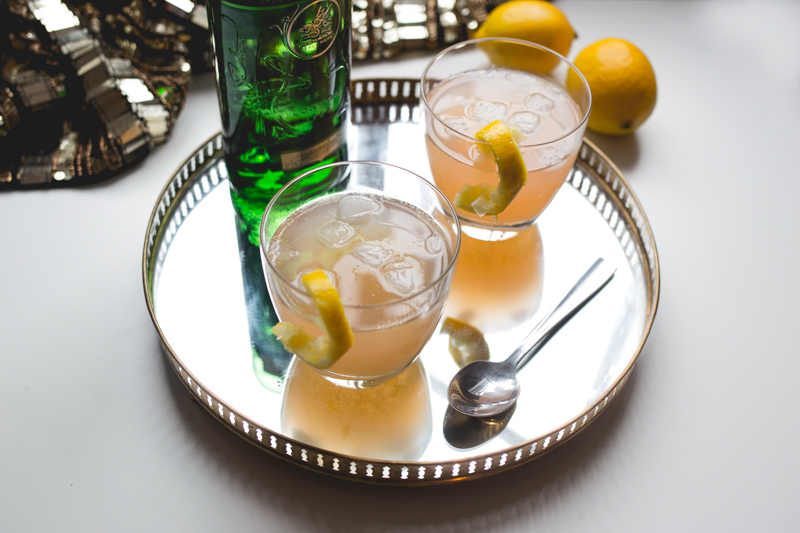 You can find a whole array of other cocktail recipes using these three basic techniques on thebar.com, and also about how to mix up your New Years Resolutions by learning the art of mixology so go on over and get inspired. I'm not a huge gin drinker, but all three of these look amazing! And your photography is so beautiful! Always makes me sad to see this kind of backlash towards Dry January. The charity who started the initiative, Alcohol Concern, do a lot of great work and I think maybe their campaign has been piggy-backed by all the people doing Dry Jan for "detox" reasons (which I agree is super annoying!) I'm raising money for them again this year so one of these looks pretty appealing for when I'm back on the tipple!